At North Shore Gastro, we strive to provide our patients with the best possible care. That is why your opinion is extremely important to us. 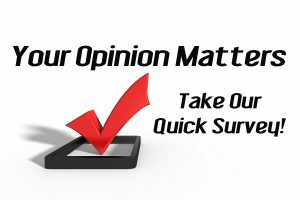 If you are a patient at North Shore Gastro, we would greatly appreciate if you would take a few minutes to fill out our Patient Satisfaction Survey. All submissions are anonymous, so please answer honestly. We thank you in advance for your feedback and for helping us maintain the best quality of care available. I was a registered nurse for 39 years. So I have worked in so many areas of the medical field. North Shore Gastro is like no other facility. It is run like a fine tuned piano. Perfect in every way. Furthermore I fly in from Las Vegas for my procedure when necessary. I strongly agree this is the place to go when you require care. North Shore Gastro is the best group of its kind in New York (perhaps anywhere). Dr. David Milkes possesses the rare combination of exceptional bedside manner and medical skill that is both broad and deep; there is extraordinary experience combined with cutting-edge, current insight that stays abreast with most recent advances in the field. I am treated like a person, not a number. Empathy and excellent technical expertise create trust. This is the best place to go for all things gastro. Dr. Abittan has been my Gastroenterologist for several years. He is wonderful. He is kind, gentle, caring, knowledgeable. Dr. Abittan is available. When called, he always returns your call in a timely manner. He answers all questions and explains the circumstances very well. One of the most important qualities of a physician is bedside manner. Dr. Abittan is exceptional. And he always puts you at ease and you leave feeling good. Any patient he treats will have great confidence in him. I would recommend him to anyone, without reservation, and consider myself lucky to be one of his patients. Excellent care by office staff and medical staff. All are to be commended for professionalism. This has been my second colonoscopy with Dr. Rattner. Both Dr. Rattner and his staff, from the personnel at the front desk to the medical personnel inside, were the absolute best. I would like to commend Dr. White too. I’ll be back in 7 years for a repeat. Please assure these professionals will still be there. I have only the highest praise for the entire staff at North Shore Gastro – polite, very professional, clean facilities, very respectful. So please extend my gratitude and admiration for the very professional treatment I received as a patient. Everyone was very courteous and helpful and I would recommend this doctor and office to all family and friends. Dr. Sloyer was more than informative. Wonderful. Thank you! I received exceptional care from all of the professionals in the office. I am very pleased with the care I received. I am especially satisfied with the competency and thoroughness displayed by Dr. Abittan. I was treated very good by everyonewho took care of me. Thank you all! You were all very nice and considerate. Excellent care and efficient procedure. Thank you! Everyone I had contact with was kind, courteous, and explained everything. Made the procedure very easy!!! The staff always makes me feel welcomed and comfortable. I am proud to say that I am a patient there, you guys are 150% professional, polite, accommodating, and nice. Dr. Dicker went out of his way to get me in ASAP for the procedure because of the issue I had. Thank you! It is a team-oriented and organized medical office. Dr. Abittan is a dependable doctor. Excellent care and treatment – makes an unpleasant procedure easier to take. Everyone in the office is so pleasant!! For such an awkward procedureevery one made me feel very comfortable. I look forward to the next in 5 years (haha). I really do like the anesthesiologist, funny and great personality!! Dr. Rattner is wonderful and he’s always taken great care of our family for close to 20 years. The anesthesiologist was very kind and one of the few in my life that did not bruise my arm. Staff were extraordinary! Particularly Dr. Abittan, Jessica, Dr. Cox, Doclie and Bebe. Thank you!!! I receive excellent service from the medical staff, especially with Dr. Sloyer, very caring and professional. Just let Dr. Sloyer know that for me he is the best doctor EVER! Many blessings to all! Dr. Abittan and his staff were all wonderful, helpful, friendly, and very caring. They made me feel comfortable. God bless you all. Thank you very much, The procedure went smoothly. Excellent job; very expedient staff. Office operations run smoothly; wonderful experience overall. Keep it up! Everyone was knowledgeable and pleasant throughout my entire experience. Thank you! In spite of the fact that this was such a hectic morning because of water damage, everything went exceptionally well. My appointment was for 10am and I was finished and on my way home at noon. My congratulations to Dr. Milkes and his staff. I’m very pleased to have had the procedure done with North Shore Gastroenterology. Thanks. Dr Rattner is Among one of the best drs I’ve seen in the last 5-6 years. Answers any questions you may have, doesn’t rush you out the door, and seems Genuinely concerned about your health! The staff is excellent at making you feel welcome, and comfortable. I’ve had 3 procedures done at the office in the last few years. Dr. Rattner has a very reassuring demeanor! He is articulate, professional and knowledgeable. Regrettably, our relationship will be discontinued, when I relocate to Virginia in August. He can’t be replaced! I’ve been to several GI doctors over the past six years and I am incredibly impressed with Dr. Abittan. He strongly demonstrated his understanding of the issues that past doctors somehow missed. He really listens to every detail. His referral to a doctor who specializes in my motility condition was spot on. I am very hopeful. Dr. Dicker is an excellent physician in terms of knowledge, kindness, attentiveness. I felt completely at ease with him and the medical field is enhanced with doctors such as Dr. Dicker. The entire staff at North Shore Gastro are staff that a patient desires in terms of attentiveness and responsiveness to my needs. I was completely satisfied with my visit to North Shore Gastro. The lady at the front desk was welcoming and very professional. I only waited a few minutes until I was seen by the doctor. Dr. Abittan out me completely at ease and was very patient when explaining the upcoming procedure. I was so pleased with my visit with Dr. Abittan. He was very attentive, and I could really see that he was listening to me. He is very respectful and kind, and I would tell everyone I know to use him as a doctor. The North Shore Gastro Group are professional and knowledgeable. Moving away from the medical facilities and doctors I was familiar with in N.Y. disappointed me and when I was faced with a problem and unsatisfied with my local physician, I decided to contact Dr. Abittan. His office staff was very accommodating and I scheduled an appointment and procedure for the time when I would be in N.Y. This occurred and when I explained my dilemma to Dr. Abittan, he reassured me that I could call him at any time. Over the years, my husband, family and I have been very pleased with the caring and professional nature that Dr. Abittan and his staff exhibit to all his patients. I just want to say that Dr. Sloyer is very professional and explained everything very well. The staff was very accommodating to me even though I was a day early for my appointment. After a great recommendation from my dad, who has been seeing him for years, I met with Dr. Talansky for the first time. Dr. Talanky really set my mind at ease and answers all my questions. He really listened to my concerns and symptoms and provided me with very clear explanations and suggestions based on all his experience and expertise. He was extremely easy to talk to. I came to him for a second opinion after not being so comfortable with another doctor I was seeing. I would definitely recommend Dr. Talansky and plan on making him my regular Gastro doctor. Dr. Abittan sets the bar high for professionalism and excellence. Patient, personable and caring, I will definitely be recommending him to friends. Dr. Abittan is not only phenomenal physician, he is a wonderful human being. He truly cares about his patients. Best doctor!!!!! I would like to say that my experience at North Shore Gastro was done very professionally. Everyone, from the minute I got there and until I left the facility, helped me get through the procedure with calm patience. Needless to say, I am very nervous when I have to go for tests and this was my first colonoscopy, but the staff put me at ease the minute I went into the room. A huge thank you to all of the Staff for being so courteous and understanding. Dr. Novogudsky is a compassionate, thoughtful doctor who takes time to carefully review your concerns and issues and makes you feel at ease. I highly recommend him. I recently was treated by Dr. Milkes. He is easy to talk to, very friendly and genuine. He was informative about the procedure and explained it in a way that anyone would understand. The entire staff at North Shore Gastroenterology were great start to finish. My procedure was scheduled 7 days after my first visit. The atmosphere is very comfortable and they make you feel safe. The Anesthesiologist, nurse and staff were great, friendly, helpful and most of all caring. Dr. Dicker was recommended to me by my PCP and Cardiologist. I feel well cared for by Dr. Dicker. He is professional, intelligent, friendly, and I’m very comfortable during exams and conversations before and after. I have recommended Dr. Rattner and staff at North Shore Gastro for many years and will continue to do so. They are very professional and you are treated like a person…not just a number. Always a pleasant experience. I appreciated that Dr. Abittan spent a good deal of time speaking with me at my pre-colonoscopy/endoscopy appointment and then again after the procedure. I didn’t feel rushed, which is important with a doctor, especially when undergoing a procedure and biopsies. Dr. Talansky is a very competent and caring doctor. He listens and understands my description of my symptoms. He explains his concerns and how he can investigate my condition and how it can be fixed. I have the highest confidence in his work. All of the girls on the phone have always been very helpful. A lot of doctor offices have rude and un-helpful staff I’ve found but everyone in your office has always been willing to help and take messages and help with getting refills etc.. Whenever I call the office, I am met with the voice of a friendly and helpful person. The lady who helped me navigate this site, and I’m sorry I don’t remember her name, was patient and assisted me every step of the way to resolve my problem. The nurse in the procedure room, and I’m sorry I don’t remember her name (I want to say Aisha) was calm and kind, and made me feel very comfortable, instead of nervous. I could not be more pleased with the care I received at North Shore Gastro! Dr. Abittan and his staff are professional, friendly, and extraordinarily competent. The procedure (colonoscopy and endoscopy) was a totally non-intimidating experience. What more can I say?… Highest possible ratings!!! Dr. Rattner is a very pleasant Dr. He was listening what I had to say without rushing or over talking me . Unfortunately most of the Dr.s have a bad habit of not listening what the patients have to say. Dr. Rattner also returned my phone calls on the same day ! I had a very pleasant experience and I highly recommend Dr. Rattner . I have been seeing Dr. Dicker for 14 yrs. I now live in Oregon and travel to NY just to see him. He is honest and professional all the time, he listens, examines you, then tells you what he thinks, very thorough. very happy with the quality of care I receive from him and his staff.